November Birthstone – Citrine !!!!! November is here already and we are closer to Christmas… oh I love that period!!! I love the aroma of cookies and all the desserts, the colors of our Cristmas tree, the lights, the smiles… everything! 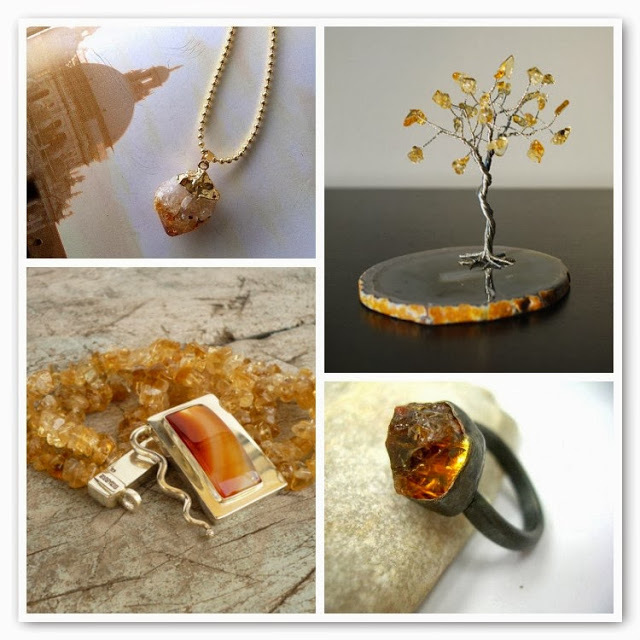 So, for November there is another amazing birthstone…Citrine! The name comes from the French word citron, meaning lemon. It was used as a gem in Greece as far back as 300 B.C., and because of its color, is sometimes mistakenly referred to as Gold Topaz, Madeira or Spanish Topaz, or Safranite. “Citrine” is used in the names of birds and other lifeforms with such colouring to describe their appearance, including the Citrine Wagtail, Citrine Warbler, Citrine Canary-flycatcherand Citrine Forktail. Natural Citrine is a premier stone of manifestation, imagination, and personal will. Carrying the power of the sun, it is warm and comforting, energizing and life giving. It stimulates the chakras like the sunlight of spring, clearing the mind and stirring the soul to action. Is a joyful stone with bright energy which lights up many aspects of lives of those who work with it. It has energies of good fortune and good luck, though these may appear in unexpected ways. In crystal healing and healing folklore, citrine is said to be beneficial for the digestion, stomach, nightmares, other sleep disturbances, thyroid, general health, heart, kidney, liver, muscles, strength, endocrine system, circulatory system, tissue regeneration, urinary system, immune system, diabetes, fibromyalgia. It was really great to be in EfZin blog! So lovely warm color!Very nice pieces of jewelery! Indeed Maria! I like this color too. stopping by from meet & greet hop! new follower on GFC & bloglovin! I'm suddenly very jealous of everyone born in November for having such a beautiful gemstone. Lovely beautiful colours. Can't wait to see the items you pick for December!